Due to a full schedule from before sunrise until nearly bedtime, except for 45-minutes for an early supper, I was busy today. Meetings, trainings, truck maintenance – the day was full and went fast. 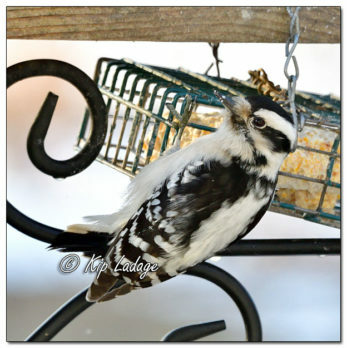 Other than this downy woodpecker and our other usual backyard birds, I saw no wildlife today. That seems to happen when the candle is burning quick on both ends.